Amity Poshtel kohteessa Krabi, Thaimaa: Varaa nyt! 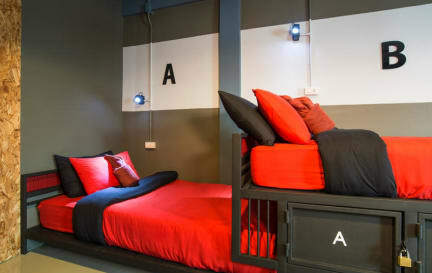 A chic and modern designed premium hostel or poshtel - style Amity located in Krabi featuring contemporary female and mixed dormitories and private guest rooms with comfy beds and friendly service for individual backpackers, families and friends. 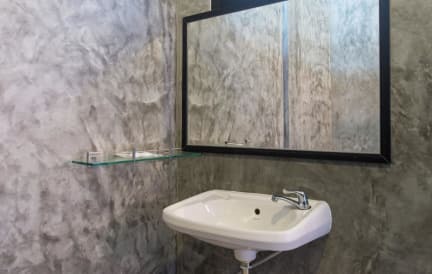 Rooms are simply furnished in a contemporary style and feature several amenities including air conditioning, ceiling fan, coffee corner, shared living area and free Wi-Fi internet access. The beds were so comfortable and i slept so well!!! Probably the best beds i have slept in Asia. The hostel is very big and very clean. The only negative things was the location. Would stay there again totally!